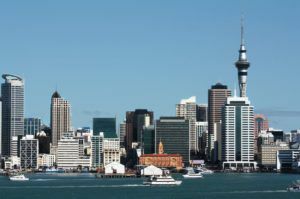 New Zealand’s Parliament advanced a bill that would lay the groundwork for a regulated medical cannabis industry but rejected a separate bill that would have established a more full-fledged market and allowed home cultivation. If the government’s bill wins final approval – or Royal Assent – from the country’s Governor-General, it would ultimately create a domestic medical marijuana market and give terminally ill people or those suffering from chronic pain a legal avenue to acquire MMJ. The legislation also calls for the declassification of CBD as a controlled drug. It’s a major step forward for the country’s MMJ, but for many in New Zealand, the legislation doesn’t go far enough. A separate bill from an opposition lawmaker would have made it legal for New Zealanders suffering from “a qualifying health condition” to use marijuana or cannabis products with the support of a registered medical practitioner. It also would have permitted home cultivation. But that bill failed to pass its first reading. The government’s bill, which would amend the Misuse of Drugs Act 1975, had its first reading Jan. 30 and has been referred to Parliament’s Health Committee for further deliberation.